Moments In Time: ORANGE IS THE COLOR OF MY OBSESSION! 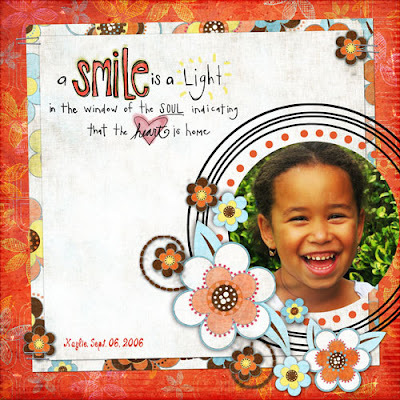 This is my layout for Studio Start 63 at Scrapbook-Graphics. Isn't this orange bg. ppr. amazing? And those flowers are to die for. Love, love, looooooooooooooooooooooooooooooooooooove orange. If you'd like to see it, click on the gallery links on the upper right hand side of the blog. Orange rocks! I am SO with you!